Viewing is highly recommended to fully appreciate this beautifully presented four bedroom detached house. Occupying a spacious plot in the popular suburb of Beighton. The property has been significantly extended by the current owners. A fabulous breakfast kitchen/diner, downstairs shower room/w.c, lounge, With spacious bedrooms throughout including a superb bathroom, garage with electric door. The property offers light & airy accommodation which would be perfect for a growing family. Gardens to the rear all combine to create a highly desirable property. An external door with decorative glass panel opens into the hallway having central heating radiator, wooden flooring with Stairs rise to the first floor landing and loft space which is carpeted and boarded and fitted with a velux window. The stunning lounge has French uPVC double glazed patio doors with front facing uPVC double glazed bay window There is fitted carpet to the floor, three central heating radiators. The focal point of the room is the stylish feature fireplace with back panel and hearth inset with contemporary curved fire basket coal effect gas fire. Stunning kitchen providing versatile living accommodation having a range of high gloss wall, drawer and base cabinets, complementing work surfaces incorporating a duel fuel range cooker Further integrated appliances include the dishwasher and washing machine. There are recessed spotlights to the ceiling, porcelain tiles to the floor, space for American style fridge freezer. Set beneath the rear facing uPVC double glazed window is a composite sink with separate drainer and mixer fitting. 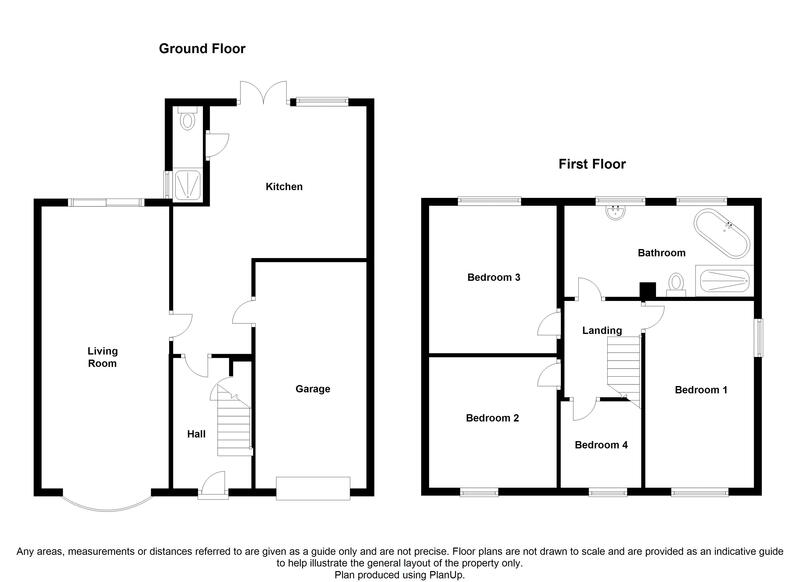 Open Plan to the dining/living space with French uPVC double glazed doors opening onto a patio and garden. Having two central heating radiators, with door leading to the shower and w.c. Further door opens into the integral garage. Two velux skylights letting in natural light and air into this fabulous kitchen. Having a fully tiled enclosed shower cubicle, and low flush WC. There is none-slip tiling to the floor, central heating radiator. With a front uPVC double glazed window , range of fitted floor to ceiling wardrobes, fitted carpet to the floor and central heating radiator. There is space for further bedroom furniture. With a rear facing uPVC double glazed window range of fitted floor to ceiling glass fronted wardrobes and draws, fitted carpet to the floor and central heating radiator. Having front and side uPVC double glazed windows, central heating radiator, laminate to the floor. There is ample space for free-standing bedroom furniture. Access can be gained to the loft which is fully boarded with pull down ladder, power and lighting. Stunning and spacious bathroom comprising a free-standing double ended bath, separate walk-in shower, pedestal wash hand basin and low flush WC. Ceramic tiling to half of the walls with modern paper above, wooden flooring, central heating radiator and opaque uPVC double glazed windows to the rear. The spacious garage has electric powered roller shutter door, power and light. Residing on a substantial plot, to the front of the property is a block paved driveway providing off road parking for several cars/caravan .A side gate gives access to the rear. The rear gardens are lawned, enclosed with timber fencing and enjoying a degree of privacy. The garden is planted with a range of well tended trees and shrubs. A patio area provides space for outside dining and additional seating.